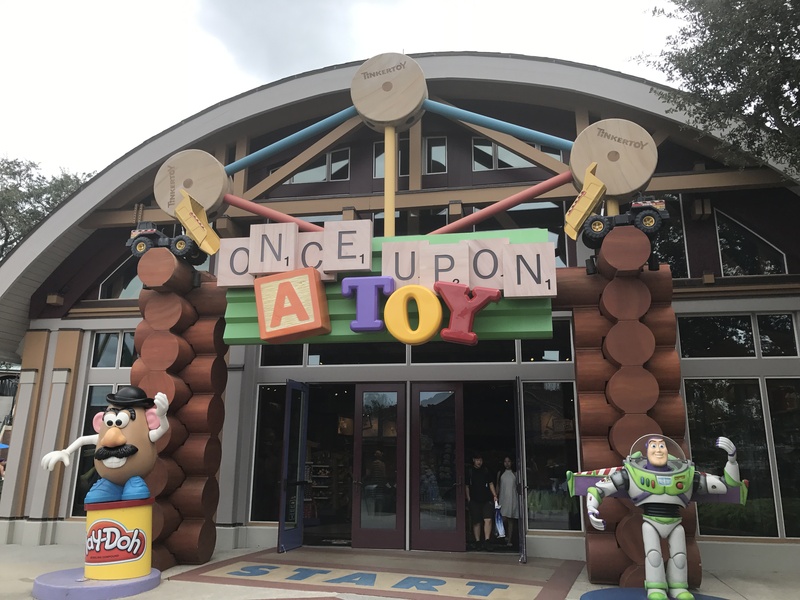 The big toy store in Disney Springs known as Once Upon a Toy Store has been a haven in the past for penny press machines and at one point had 3 different machines. However this store is currently going under some renovations and about two-thirds of the store is closed off. Due to this two of the machines have moved from this location. The first machine to move was an 8-Design Star Wars machine. 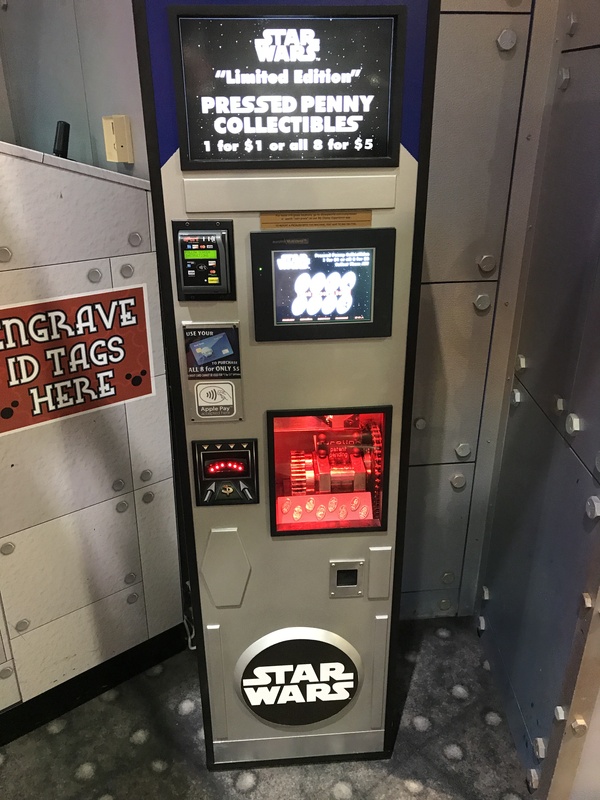 the designs are still the same but this machine is now located over at Epcot in the Mouse Gears store near the Star Wars merchandise. 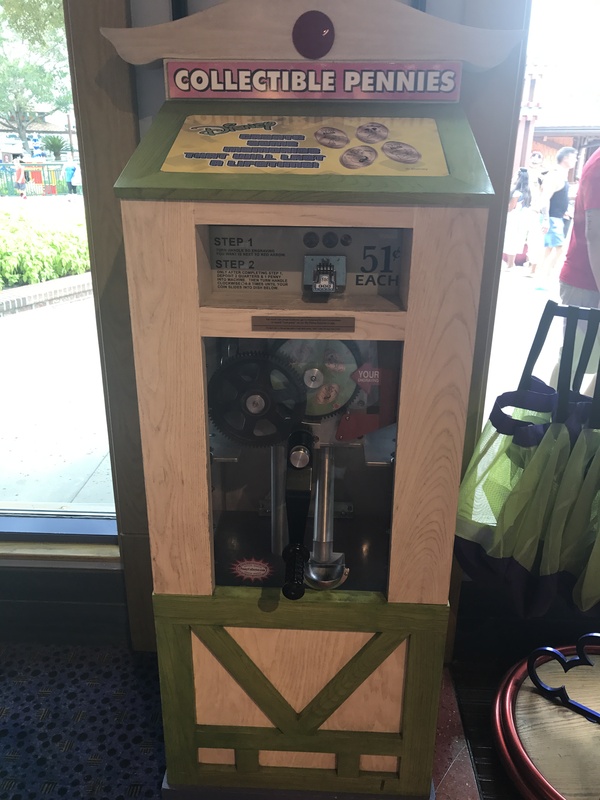 The second 8-Design machine shown below was the second machine relocated just down the walkway still in Disney Springs in the World of Disney mega store. With those two machines gone there was only one last machine still in the Once Upon a Toy store and had the same designs it’s had for quite a while. Until just recently when these designs were changed out. This is a 4 design hand crank machine located just inside the main entrance doors. 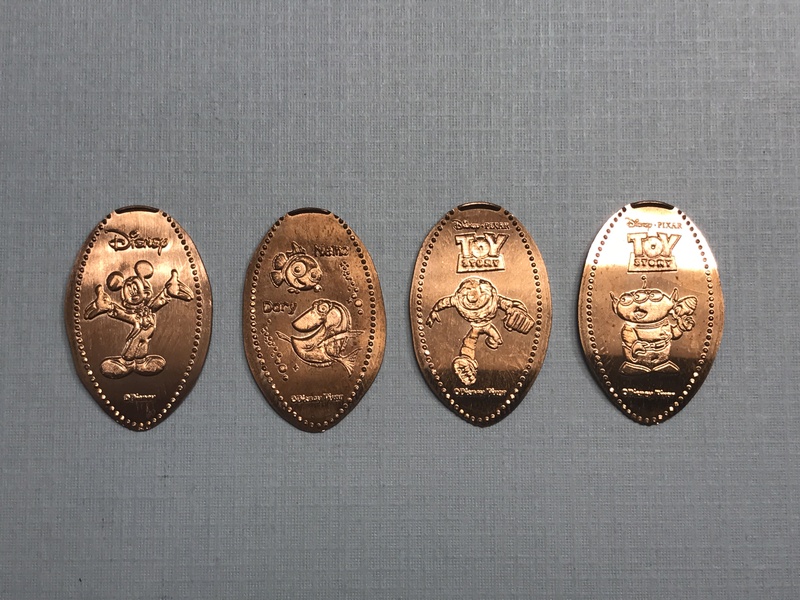 The images pressed on these coins included Mickey Mouse, Dory & Nemo, Buzz Lightyear, and a Little Green Man Alien. 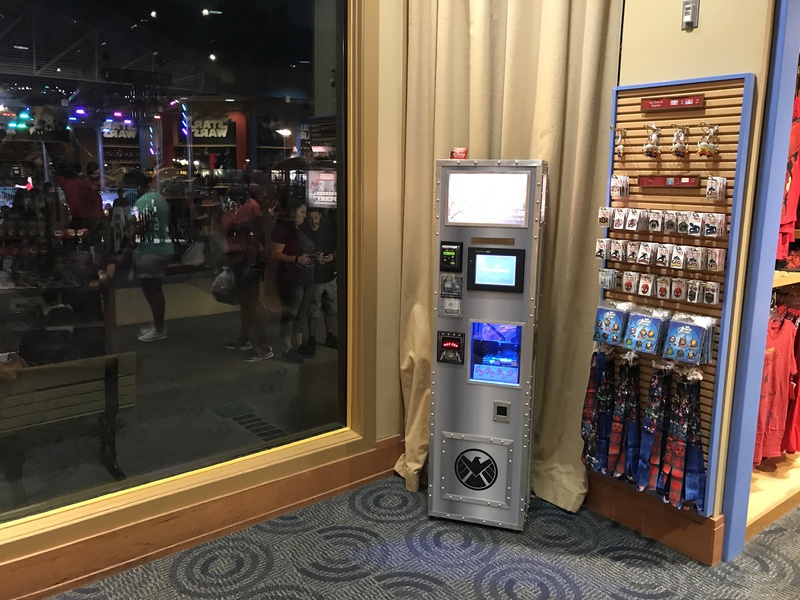 This store has definitely been a starting point for some new pressed coins machines and I’m curious to see what happens once the entire store if reopened. Will it get new machines or just have the other ones moved back. Only time will tell, but I’m crossing my fingers for even more machines.